Hand Readings of famous people: Martin Luther King Jr. There are few hands which are as simple to read as the hands of Martin Luther King Jr. Simple because there are fewer lines on his hand and the other hand features are easy to recognise for what they are. Unlike some other hands where one has to examine a hand from several angles to decide whether the thumb is low-set or high-set or just normally set. No such problem arises when one is reading MLK’s hands. The thumb is long and clearly low-set, with a good balance of the phalanges. And the lines on this hand are clear and dark, with the minor lines missing. His fingers are all straight, with long first and second phalanges and the Jupiter finger is short. 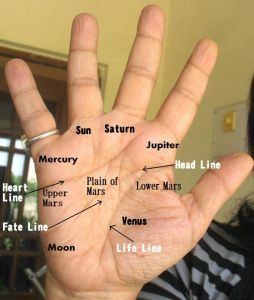 The heartline is long and curved, the headline more or less straight and the mounts of Jupiter, Venus and lower Mars are well developed. the end of the fateline signifies death, as I have mentioned clearly in this post on Death and Hand Reading. Death is in fact rarely seen on the fateline. 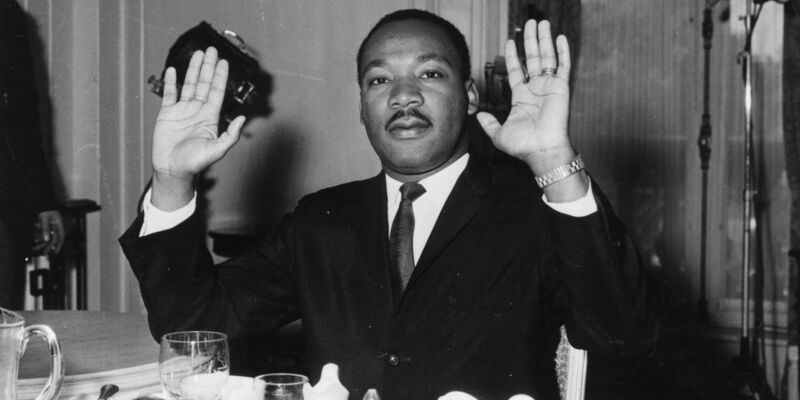 You can check out Martin Luther King Jr.'s hand photos here and here. The one given below is a free image available on the net. The lines and the shape of MLK's hand and fingers point to an uncomplicated person, one who is focussed on his goals, clear about what he wants to do. No hesitation there, no confusion. And the way he would approach his goals would be in a forthright manner, just as his thinking is. And his thinking would be unselfish, not just straightforward and goal-oriented. Reasoning ability, pragmatism and ambition are as much a part and parcel of his personality as are warmth, compassion, idealism and love for fellow human beings. 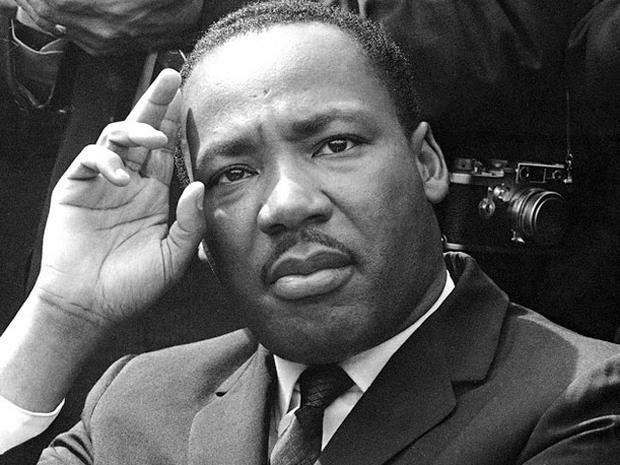 Martin Luther Jr. was driven by his heart and his feelings, but his approach always remained a practical one. He was bold, brave and confident. There is a distinct individuality shown on the hand, an individuality which points to original thinking and independence of action. Despite this, inner confidence is lacking somewhat, which means some insecurity about the self as well as humility. As a person, however daring he was, in his heart he was very vulnerable. All the above qualities made Martin Luther King Jr. a natural leader. He had the energy and the aggression to fulfil his agenda. 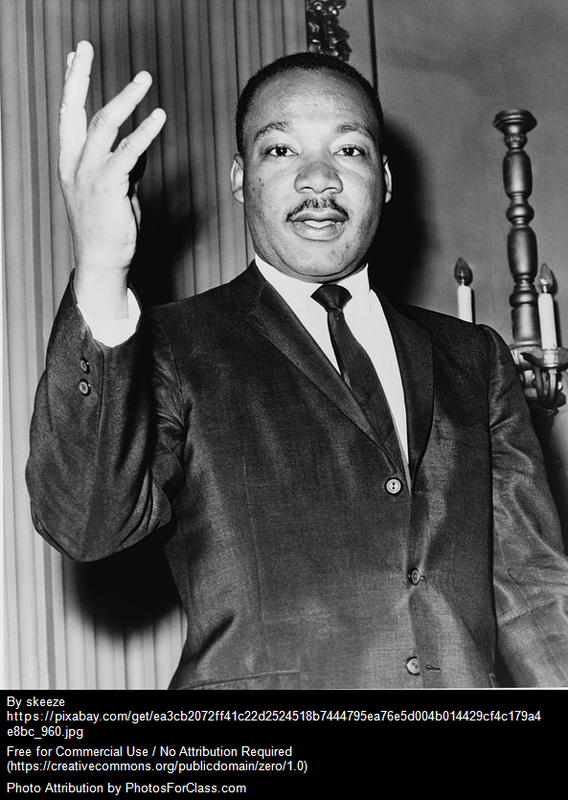 MLK was a rare person and I have not seen any hand which is so perfect in every way for the hand of a leader. Sympathetic, caring, unselfish, straightforward, idealistic, humble, goal-oriented and pragmatic. His hand is more like that of Guru rather than a politician. Not the religious type of Guru, because his hand does not show religiosity as such. Related hand readings: The hand reading of Donald Trump, or Hillary Clinton or a comparison of Hillary Clinton and Obama. Or here is what the hands say about Heads of States from different parts of the world. Or just check out the hand analysis of Politicians or Spiritual leaders from all around the world. Interesting to read a near-perfect hand analysis for a leader. I hope such leaders are born in India too! Such men are rare. I have not seen any other hands like this. A man so simple at heart and so noble. Please do a palm reading of Malcolm X.
will surely keep that in mind.